You have additional theme setting available. 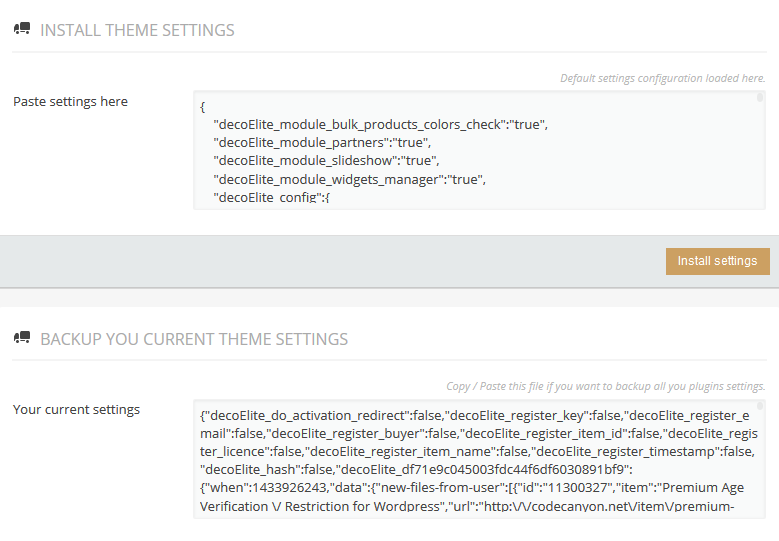 From the Widgets Manager section you can deactivate the widgets that you do not want to use. From the Modules Manager you can deactivate the modules that you do not want to use. From the Setup/Backup section you can back-up or restore your previous theme settings.